In September 1969 Mick Meagan became the first manager of the Republic of Ireland football team. Up to that point teams were selected by a five-man selection committee. Following pressure from some senior players, led by Eamon Dunphy, the FAI decided to appoint Meagan. In a type of hybrid system Mick Meagan would recommend players for the squad to the selection committee while retaining the final decision on the starting line-up. One long-standing problem for Irish teams persisted however i.e. international football matches continued to be played on Sundays, just one day after league matches. Meagan was the Irish manager from September 1969 until May 1971. Mick Meagan was born in Dublin 29th May 1934. He signed for Everton in 1952 as a defender. He did not make his first team debut until 1957. He went on to make 165 appearances scoring one goal in the process. 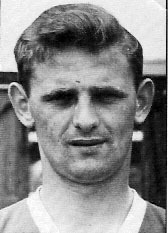 Meagan moved to Huddersfield Town in 1964 making 119 appearances. Following a short time with Halifax Town Meagan returned to Ireland to play for both Drogheda United and Shamrock Rovers. He finished his playing career as player-manager with the Glenmalure outfit and he made history when he appeared in the same side as his son, Mark Meagan, in and FAI Cup match. Mick Meagan made his Irish international debut against Scotland on the 7th May 1961 in a 1962 World Cup qualifier. Scotland won the match 3-0 at Dalymount Park. Meagan went on to win 17 caps for Ireland but experience limited success with the Irish team. He was on the winning team on just four occasions however these included a memorable away victory in the Czechoslovakia in a 1968 Nations Cup qualifier. On their last visit to Prague the Irish had been beaten 7-1 however Ireland came away with a 2-1 win courtesy of a late winning goal by Turlough O'Connor. Unfortunately for Mick Meagan he had a part in the Czechoslovakia goal as he deflected a ball into the path of John Dempsey who sliced the ball into his own net. Mick Meagan won his last cap for Ireland as he started his international career - against Scotland in a 1-1 draw. It was also his first match as manager of Ireland. Mick Meagan was appointed Republic of Ireland manager in 1969. Unfortunately for Meagan his term in charge was during the time when international matches were played on Sunday's, just one day after most Irish internationals played for their clubs. This often led to many absences of key players for important qualification matches. Meagan's first match as manager of the Irish team was a friendly game against Scotland at Dalymount Park on 21st September 1969. The match ended in a 1-1 draw with Don Givens scoring the Irish goal. Meagan, who was playing for Drogheda United at the time, won his 17th and last cap in the match. Meagan assumed control of the Irish team midway through the 1970 World Cup qualification campaign. The Republic had lost the first three matches in the group and things did not improve with Meagan at the helm. In his first competitive match in Prague against Czechoslovakia Ireland suffered a 3-0 defeat with Jozef Adamec scoring a hat-trick. The rest of the campaign was not much better and the best result that Ireland and Meagan could muster was a 1-1 home draw against Denmark. Following two defeats in friendly matches against Poland and West Germany Mick Meagan kicked off the 1972 European Championship on a relatively positive note with a 1-1 home draw against Sweden on the 14th October 1970. Unfortunately for Meagan this was followed by four straight defeats culminating in a 4-1 hammering at home at the hands of Austria. With the return away tie against Austria looming Mick Meagan's term as Republic of Ireland football team manager came to an end. He had been in charge for almost two years and 12 matches and had failed to register a single victory. During those matches scoring goals was a particular problem with the Irish only scoring seven goals and never more than one in any match. The team shipped 26 goals, and average of 2.2 goals per match. During his term Meagan used 30 different players giving debuts to ten, including Liverpool's Steve Heighway.